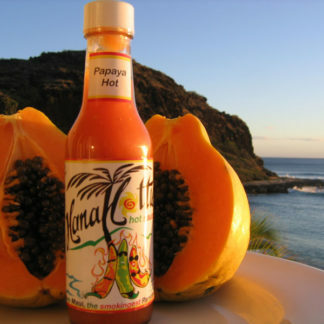 The delicious blend that comes from these handpicked Lilikoi (passion fruit) and guava (kuawa) is in a class of its own. The sweetness of the lilikoi juice and the sweetness of the pink flesh of the guava is a perfect complement to the fiery Hawaiian chilies grown in Hana. 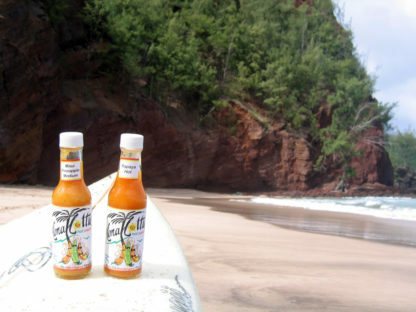 Perfect for fish tacos, fruit salads, green salads and anything else you can imagine. Its a taste you won’t forget. Made only when the fruits are in season.